Spider mites are tiny, but their effect on a plant is dramatic. These minuscule bugs (less than half a millimeter long) feed on the nutrients inside of plant cells and can infest a plant before you even notice something is wrong. Although the bugs are difficult to spot, the symptoms of an infestation are not. 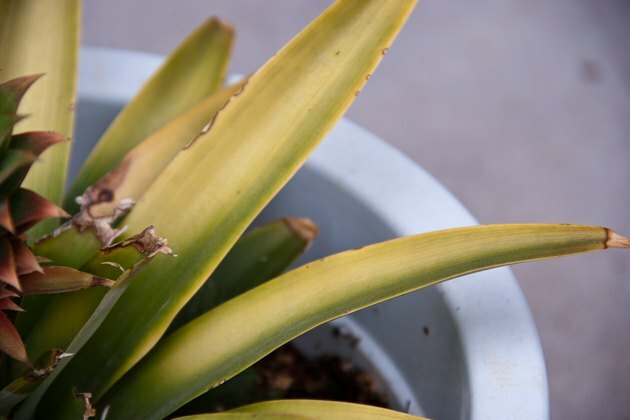 Look for yellowing leaves, deformed buds, and tiny white bits of webbing in the corners of your plant and under the leaves. Then, concoct a home remedy to get rid of the spider mites. 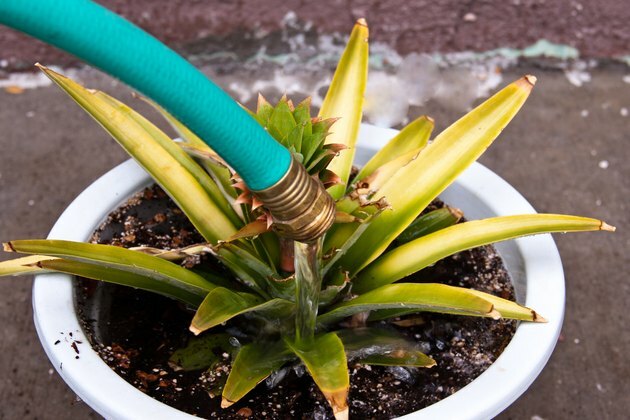 Isolate your plant immediately from any other plants. Spider mites are most commonly found on house plants, so it should be easy to remove your plant from where others are growing. If you cannot move the plant, then protect nearby plants with a sheet of plastic when you embark on your treatment to get rid of the spider mites. 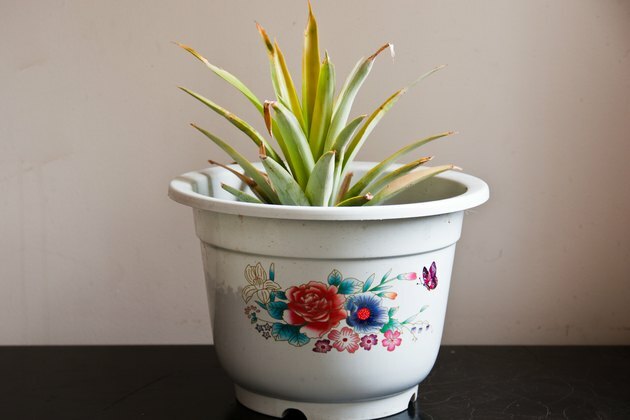 Take your plant outside and set it on a hard surface. Prune away any parts of the plant that are already dead or are covered in webbing or spider mites. Then, aim a hose or pressure sprayer at the plant and give it a good blast of water. This will remove a lot of the spider mites from the plant. Go ahead and wash away the top layer of soil as well because there may be spider mites living in the dirt around the plant. You do not have to repot the plant, although you can add more potting soil to replace what you wash away. 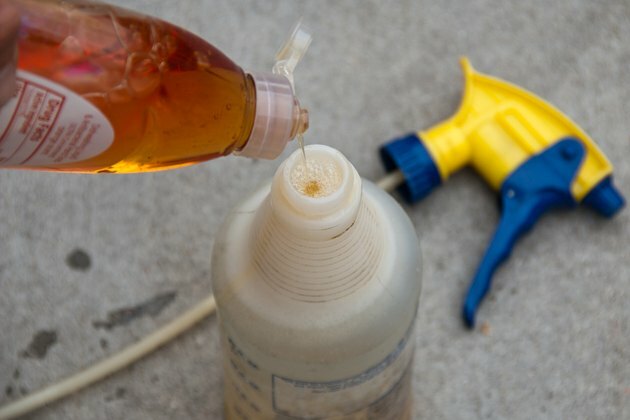 Mix up a home remedy to get rid of the spider mites. Combine 1 gallon of water with 2 tbs. of dish detergent and 1 tbs. of vegetable oil. Mix well or put the ingredients in a gallon jug and shake it up. Pour the mixture into a spray bottle, then add 1 tsp. of rubbing alcohol. Shake it again and immediately use it because the alcohol will eventually evaporate. 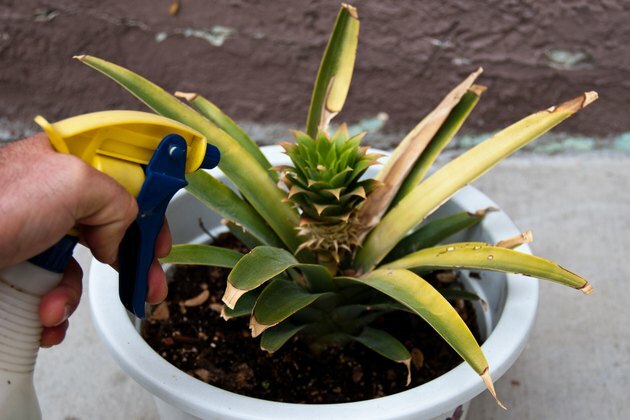 Spray the mixture on your plant, thoroughly covering all of the leaves and stems. 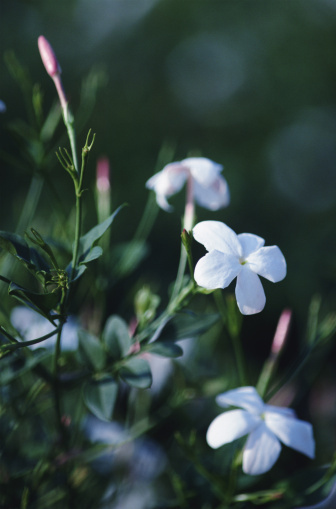 Make sure the undersides of the leaves are saturated as well. Doing this three times a day for three days will get rid of the mites for good.